When it comes to transporting classic cars from one place to another, a lot of people have a misconception about it. They think that they can drive their car by themselves and they certainly can. But, it might not be suitable for their expensive and luxurious vehicle. If you are facing this concern and want to know the importance of hiring a classic car carrier company, have a look at some points below. Careful Handling: The most important thing when it comes to hiring a car carrier service is the safety of your expensive and luxurious vehicle. At All States Car Transport Company, we have a reputation classic car transportation due to our fully trained professionals and well versed in loading, transporting and carefully unloading the car to ensure your vehicle does not even get a single scratch. Peace of Mind: When you let our professionals handle something that valuable you have to ensure everything will go smoothly. Our years of experience and training have taught us the ins and outs and outside of the box solutions cater to each vehicle with particular characteristics. 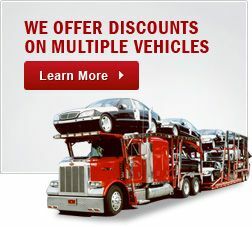 We will handle any car like our providing complete peace of mind that your car is in right hands. Saves Time: When it comes to transporting a car, whether you need it to be transported to a different city or a state, if you drive it by yourself, it will take you days to get to your destination which will obviously eat up all of your time that you should’ve spent in office or doing other essential chores. On the other hand, if you hire a classic car transport company, you will be free from days of driving and arrive at your final destination within hours if you catch a plane. Less Wear and Tear: If you drive the vehicle to another city or state by yourself, you should know that you will be traveling hundreds or even thousands of miles with your car. And all of those miles will be accumulated in the meter of your vehicle. Also, long-distance traveling in your vehicle will add to its wear and tear. This means more depreciation on your expensive vehicle which will reduce its value and price. But if you hire a classic car carrier, your vehicle will be loaded in an enclosed carrier which means it won’t have to run even a single mile and will arrive at your desired location in a perfect condition. Saves Money: You need to keep the traveling expense with the vehicle in mind. If you decide to drive your vehicle, you will have to bear expenses like fuel, dining on the way, toll taxes, and the maintenance that it will require after traveling hundreds of miles. But if you hire our classic car carrier service, you will be free from all these expenses and All States Car Transport company will take care of everything.